Once a niche idea, universal basic income is now being taken seriously as an answer to many of the problems faced by the modern world. In essence, it would involve paying everyone a fixed amount each year, whilst removing most benefits, to enable us all to live a better quality of life and sustain the consumption of products in the light of future advances in technology and potential unemployment. Automation and robotics is predicted to put thousands of people out of work over the coming decades, especially those in jobs that include driving and transportation. Not all of these jobs will be replaced with higher skilled alternatives. The Finnish government is currently trialling a scheme involving 2000 randomly selected unemployed people between the ages of 25 and 58, from across the country. Participants are being given a guaranteed sum of €560 a month for two years, instead of unemployment benefit. Critically, they will receive this payment whether or not they find work. The hope is that it will encourage unemployed people to find part time work or start a business, without the worry of losing their benefits. Whilst this is not ‘universal’ at this point by definition, if it works, they could consider going a step further and providing a basic income to everyone in the country. And it’s not just the Finns who are supportive of the idea. Benoit Hamon, the French presidential candidate, is a big fan, as is South Korean presidential hopeful Lee Jae-myung. Closer to home, Glasgow City Council have commissioned a feasibility study for a scheme in Scotland’s largest city and universal basic income also has support from Elon Musk, the Silicon Valley tech billionaire and founder of Tesla. Why the support? Do advocates envision a future whereby people lounge about and spend money, whilst the robots do the work and the company owners take the profits whilst also paying huge taxes to keep the system going? I don’t think that it’s as clear cut as this. Our future is incredibly uncertain. With Brexit and Trump in the limelight, it has become easier to ignore the more subtle, arguably more significant social and environmental issues of our times, including climate change and social change driven by technology. Writers and thinkers such as Robert Reich, Carl Frey and Michael Osborne have encouraged us to think more seriously about the advent of the mainstream robotic age and the loss of existing jobs. Driverless cars could become mainstream as soon as 2030 and with this taxi drivers and haulage drivers could permanently be out of work. It is well worth looking at this driverless car infographic by Dryve.com here. It is clear that social welfare is under increasing strain across the world. You need look no further than Britain to see this. Further, labour markets have become increasingly volatile, especially for those in low paid, low skilled work. For many people (Teresa May’s ‘Just About Managing’ crowd) it is difficult to know how long they might be in work for, and the benefits cheque looks highly tempting, no matter how much it is diminishing. Our problem is that we tend to demonise those who struggle and make it harder for them to succeed by reducing the incentives to find work. If you take a job of any sort, just to return (or jump on) to the job ladder, your welfare payments are cut. The British government refuses to acknowledge the volatility that exists in the work place, which ultimately they ignore at their peril. Obviously a universal income would not come cheaply, and companies especially would need to be willing to pay increased corporation tax, to ensure consumers could continue to buy their products in the long term. It would also mean that many people on relatively low incomes could face lesser spending power. However, critically they would have more available time, arguably a far more valuable currency. Further, it would not remove the potential for individuals to make more than their universal wage by starting their own business or working in a skilled area that has not been filled by robotic automation. Universal basic income would provide a safety net, and encourage a move towards greater quality of life for all in the long run. It is an exciting and visionary idea that has the potential to shake up the way our society works like never before in living memory. So, how does this relate to farm subsidies? There is a revolution taking place in agriculture and it’s in agri-tech. Small robots are now available to spray and weed, drones can survey fields searching for areas requiring greater nutrient application and mainstream autonomous tractors are on the horizon. All of these threaten seasonal labour and semi-skilled drivers of tractors and combines will probably no longer be required in future. Instead, it will be robotics engineers who are in demand. Digital is taking farming by storm and it will transform farming culture and community as well as economics. 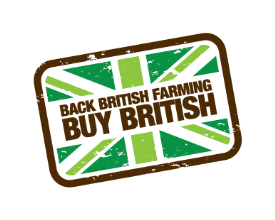 Simultaneously, Brexit has encouraged reflection and debate regarding how subsidies should (or shouldn’t) be paid to farmers. In essence, both landowners and land workers are under threat from becoming poorer. I believe that universal basic income should be part of the debate. We need to encourage young farmers into the industry, support them to grow businesses and enable innovation, rather than encourage stagnation. A universal income which would be just enough to live on (but not to a high standard) would provide incentive to be entrepreneurial and to advance a business in the way that the current system doesn’t really achieve. At the moment the safety net is provided through the basic payment scheme, but this safety net is rolled out on the basis of strongest takes most. The more land you have, the more support payment you receive. A universal basic payment would also remove the stigma of subsidies, as everyone would be receiving a subsidy of sorts. It would also provide a support basis for those who will be affected by the loss of jobs brought on by technology. It would provide them with a safety net whilst, for example, they upskill themselves or retrain to work within the new agricultural framework, with agri-tech at its heart. It would also be a bonus for smaller scale farmers, many of whom run profitable businesses but do not currently receive support through basic payment (those farming less than 5ha are unsupported) and with rising input costs many live just above the breadline or are working multiple jobs. Universal basic income cannot provide the answer on its own, but it could form part of the solution. Policy needs to make it easier for young businesses to grow and for existing businesses to flourish. It is unlikely that the public will stomach the current subsidy payment framework in a post Brexit world. Changes will be afoot, whether that moves towards a system of payments for ecosystem services or support payments for specific circumstances. Nonetheless, farmers need to be supported somewhere along the line, and I struggle to see how a safety net can be completely pulled from the industry when there are so many demands on farmers. It is unlikely that food prices will rise significantly and so this support will have to come from taxes and the government purse. Agricultural businesses involve much slower returns and longer term planning than many other businesses, justifying the financial support. Ben Eagle is a guest writer for Country Squire Magazine. He generally writes about food, farming, the environment and sustainability. Elsewhere, he has written for Farmland Magazine, Rewilding Britain and the Sustainable Food Trust. His website www.thinkingcountry.com was recently declared a finalist in the 2017 UK Blog Awards. You can follow him on twitter @benjy_eagle or join the thinkingcountry facebook page.